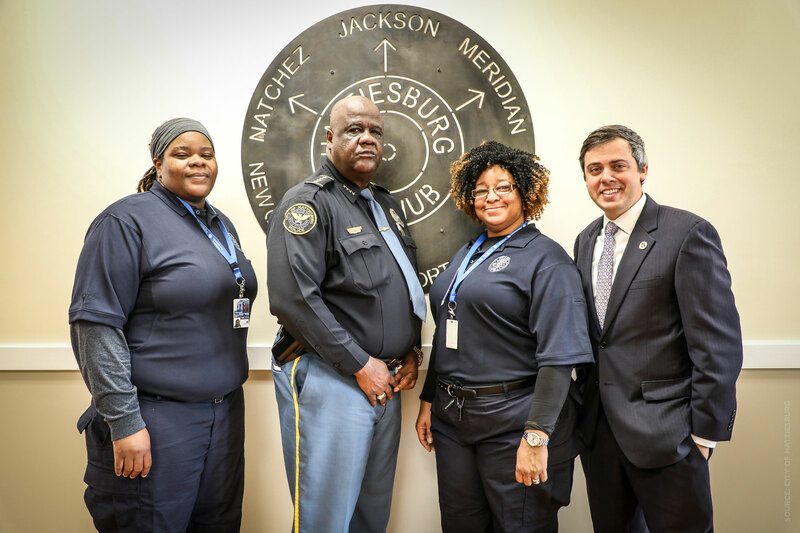 Hattiesburg, Mississippi – On Tuesday morning, Mayor Toby Barker was joined by Hattiesburg Police Chief Anthony Parker to announce the launch of the City’s new Safety Ambassador program with the swearing in of Chelsey Gunter and Yvette Randolph, the first two hires for this program. To begin, the program will be focused on the downtown areas with the expansion to Midtown as the program grows. The launch of the program is immediate, and ambassadors will cover areas from Town Square Park to North Main Street and Mobile Street to Pine Street. 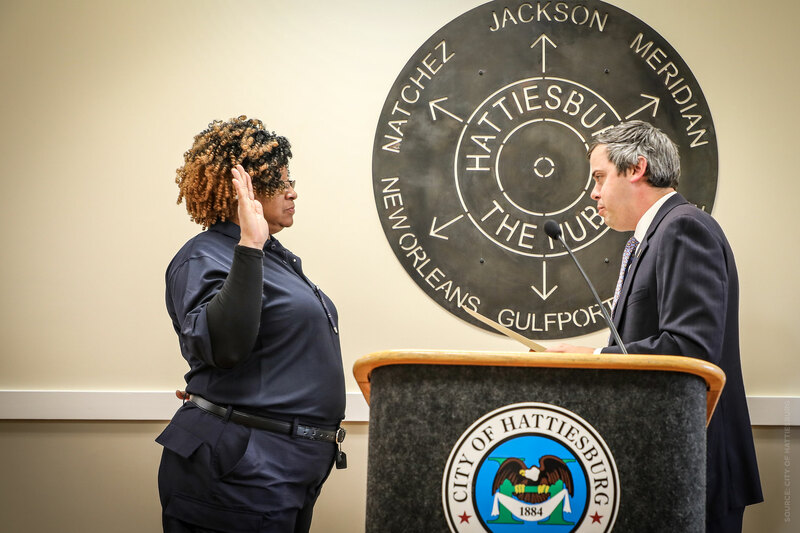 Ambassador Yvette Randolph being sworn in by Mayor Barker. 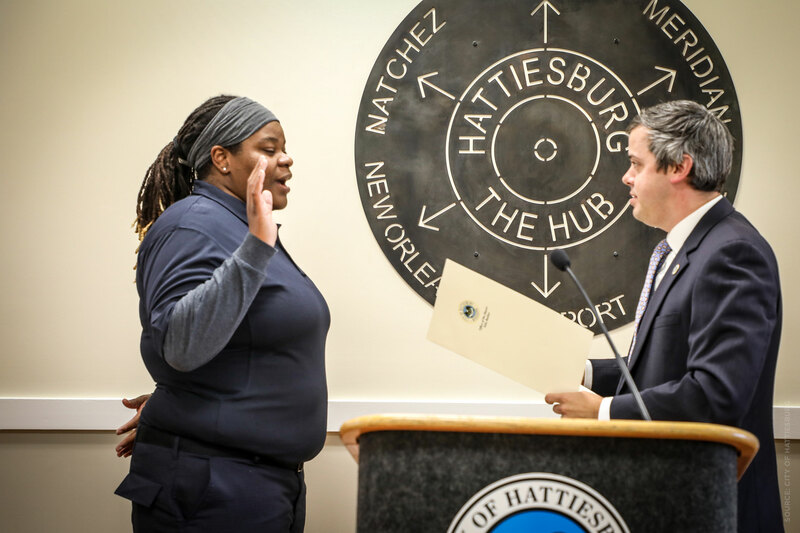 Ambassador Chelsey Gunter being sworn in by Mayor Barker.